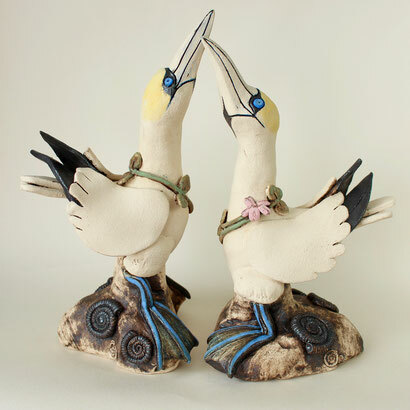 Lesley Anne Greene is an artist from Yorkshire who hand builds figurative ceramic sculptures inspired by the animal kingdom. Her unique style is animated and expressive capturing the form and character of the subject. Exhibiting and selling regularly throughout the U.K. for the last 24 years Lesley has created a collection of works using both imaginary and real encounters at home and abroad. Having relocated to the East Riding three years ago Lesley enjoys relaxing at the RSPB bird reserve on Bempton Cliffs and current works for this exhibition are a celebration of the Puffins and Gannets observed there. 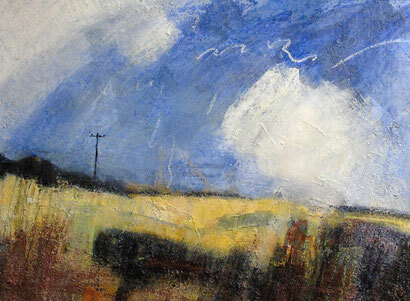 Most of my drawings and paintings are of the area along the north bank of the River Humber. It’s a landscape to which I have a strong attachment. Much of it is reclaimed marsh land and is intensively farmed. It is also flat—very flat—and I find this a stimulating challenge; how to deal with a landscape in which the only vertical accents might be the electricity poles, the hedgerows or the occasional copse of trees.